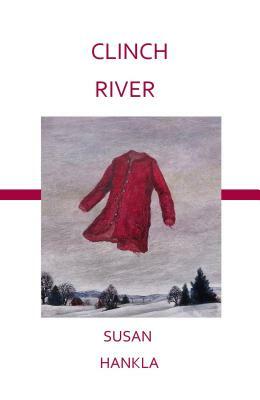 Susan Hankla‘s first full-length book, Clinch River, follows the lives of characters in the hardscrabble country on the eponymous river, an actual river made imaginary in these poems. Hankla brings a generous and open admiration to this place and these people and she makes you want to sit down and hear their stories. Hankla is a visual artist who teaches adult learners. She lives in Richmond, VA.
Athena Kildegaard: Tell me your “late bloomer” story! How did you come to writing poetry? Susan Hankla: I came to poetry at a young age through several books that imprinted me: The Oxford Book of American Verse, a book of the month club selection that my mother had on the shelf. Oddly it was the Wallace Steven’s poem, “Disillusionment of Ten O’Clock,” that grabbed attention, even if not fully understood. I was inexplicably drawn to the title, with its psychological edge, and also the white night-gowns that haunt houses. Somehow I knew that reading the poem was a feast for my brain. That was my introduction to imagery. A Book of Nonsense by Edward Lear also stuck with me. Especially his “Nonsense Cookery” recipe that ended with, “Serve up in a clean dish, and throw the whole out of the window as fast as possible.” That was my introduction to voice and tone. Mother’s long love of reading, (98 years of it), was the main source of inspiration for me (to become a writer). Her peak experience as a very young girl was getting her very first library card. She read through all the books in the children’s section, and on the heels of that, she chewed through the ones in the adult section. Her benevolence was that I could read whatever I wanted, even Lady Chatterley’s Lover, probably because Mom knew that I could take in only what I could understand. But when the movie version of Tom Jones came to town, she had me first read the book, and it took forever. Before thinking that I wanted to be a writer, I wrote, but my focus was on making visual art. I sold my first painting when I was twelve years old. It was a portrait of a mendicant. Even that seems to be part of “Clinch River” now. It’s probably safe to say that the recent debut of my first full-length book of poetry, “Clinch River” could make me seem as if I’m a late-bloomer, but the writing of it began in tenth grade. You could say that I had at least a glimpse of the book early on. AK: Clinch River is your first full-length book. How did it come into being? Did you have a vision for this book early on? SH: Writing this book wasn’t at all like the concept of chipping away at the piece of raw lumber and finding a beautiful sculpture inside the wood. Seems like I was writing Clinch River all along, and for many years, and that the book is the result of an abiding tenacity to get this material first into a form that best serves it, and then published, for which I am grateful to Groundhog Poetry Press, LLC. AK: One character shows up over and over again in the book. Who is Glenda? You write that “A recurring character in Clinch River, Glenda, is perhaps the ultimate late bloomer in the book. She is the girl who never leaves the mountains, while the narrator does leave, but has to return.” Do you think of her as your doppelganger, as it says on the Groundhog Press page for your book? SH: I see her as a very separate person from myself, and she is the only character in this book of narrative poems who ages. She is the book’s eyes—even if she has a BB lodged in one cornea that renders her partially blind. It is she who has compassion for the slights that she and these other Appalachian characters endure. AK: To what degree is this book based on your own experiences? Did you live near Clinch River? SH: I did spend a long part of childhood growing up in Southwest Virginia by the Clinch River. But Clinch River and its cast of characters are for the most part imagined, although based on what I have seen and felt and lived while there. AK: Why is poetry the right genre for this material — material that, as you write, comes from what you’ve “seen and felt and lived”? That is, why not fiction or memoir? What does poetry allow that other genres don’t? SH: Why did I make narrative poetry the chosen form for Clinch River? I have a feeling that saying I chose to write a book of poetry that tells a story, rather than choosing to write a book of stories, or penning a novel, or a memoir instead of writing poetry for this particular book will make it sound as if my book of poems could be anything other than what it is. Making poetry of it was the only way I could possibly see this material that exists in my imagination. Also, it would be amazing to be so talented that I could wake up one morning and say, “Today I am going to make a blue chair, and tomorrow I am going to hop on a purple horse and gallop down that little dirt road that is halfway hidden by the Mona Lisa’s shoulders.” Writing is stringing words in a linear way, but then overcoming that limitation of language by giving the reader the gift of sparkling moments of identification. I know very little about what makes work come forth through any one particular form over another, except that writing is a process of discovery and that I made way for this poetry by having faith that it was there and that it would happen. But when I look at my book I am truly surprised that it exists and that it has my name on it. I wrote a lot of narrative poems in Clinch River that have school children as main characters. Those early years of becoming a student are powerful. I remember dancing the Virginia Reel in gym class with boys who had layers of dirt on their hands and of having to touch their rough cracked grips, at the time not realizing that they’d already worked a full morning before even coming to school. I can still feel that. And I am yanked back through time and there I am again, facing the boy encrusted and disheveled with the remnants of his chores, but my perspective isn’t a child’s, but neither is it an adult’s vision, because writing the poems stripped something away, so that I can feel how it felt and be that as I write. Maybe writing poetry is the way that I do that. AK: The book holds together as a whole–what some might call a “project book.” What choices and/or ideas guided you as you put it together? Did you make any major changes to the manuscript as you worked on it? If so, what prompted those changes? SH: The book has book evolved from individual poems that all have the same backdrop of Appalachia. And the poems all come from the same creative period in my life. To make a book out of those poems was then a lot more deliberate at that point than was writing the early first poems that over time became Clinch River. It’s definitely a process guided by intuition and spiritual energy. And then the determination and focus that it takes to make all of that become a cohesive book is, I have to say, daunting. AK: What haunts this book and the poems in it? SH: If anything “haunts” this book it’s that I really want justice for my characters, many of whom are children, and I want their travails in their world to be acknowledged. At one point I have my character, Junior, slicing out pages in his history book, not knowing he is an important part of it. While sad to put this into a poem about him, it’s the act of doing so that restores what is his back to him. AK: I really love the way Stevens’ poem “Disillusionment of Ten O’Clock” haunts your book! He does love colors — and it seems you do, too. Perhaps this is also tied to your painting. Stevens’ poem ends with the old sailor who “Catches tigers / In red weather.” That magic arises in your poems, too. Am I going too far here? Or do you find Stevens influencing your work? If so, are there other ways you been influenced by Stevens? Or are their other poets you’d point to as being more of an influence? SH: I wouldn’t say that the gorgeous poetry of Wallace Stevens has made any particular imprint on the poems that are in Clinch River, except that in reading his work for my own pleasure at a young age, I swooned first over the tables of contents, which already read like poetry. Those provocative and highly visual titles such as “Disillusionment of Ten O’Clock” just made me want to dive into the poems he advertises. I’ve never thought about it before, but I think that I learned about titling poems from Stevens, because I have been besotted by his creative boldness. Those titles of his are like knowing the cake on the menu is going to be made with real butter. AK: Your book seems to me to fit with a group of books that explore a community and its members and the particular place in which that community arises: Winesburg, Ohio comes to mind, as does Spoon River Anthology. 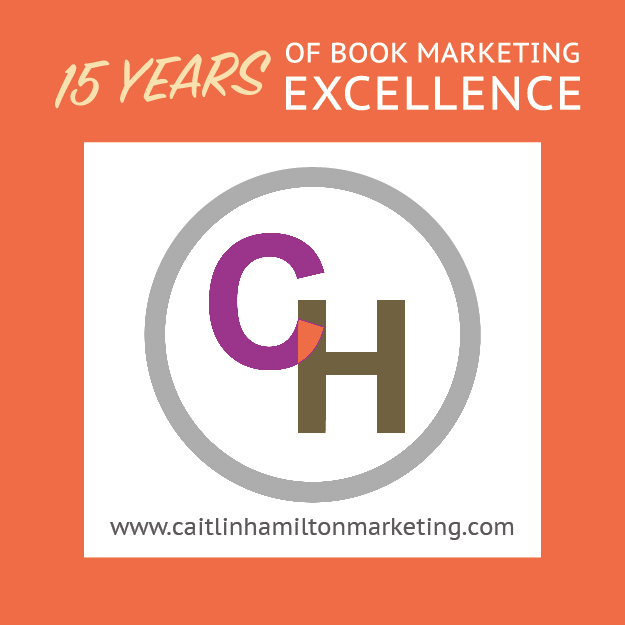 Memory plays such a powerful role in your book–one that’s not at all hokey or simplistic. Do you think places have memories? And do you think of yourself as having some responsibility toward this memory? SH: I had a friend who thought that old trees remember everything that has happened where they are for as long as they have been standing in their ground. Some places on this earth are drenched in blood, such as the battlefields of Gettysburg and I have taken the tour and felt the cold spot on the hottest day in summer and been drawn to that darkness of death and destruction. The very ground we stand on was once something else. And the irony of the riches of coal versus the poverty of those who mine it is not wasted on my writing in Clinch River. Even Little Miss Sunbeam’s calico dress is covered in soot on the billboard she inhabits in my town. A part of me stays in the mountains. I hear the dry fall leaves rattling on the trees in gusts of chilly wind heralding snow. Where I still stake a claim, the Milky Way isn’t turned a lurid pink in the night sky by the reflection of a shopping mall. The influences are songs and hymns. Those are my anchors; “Girl from the North Country” by Bob Dylan, or “The Green Green Grass of Home” by Tom Jones. “I come to the garden alone while the dew is still on the roses…” Writing this book was like carrying my own angel, until I had to set her down. My God is bigger than yours. My sheets are whiter. Life is my china pattern. Death is my charger. The Tupperware burps His Name. not one that is soiled from a previous occupant. Be sure the flowers are fresh. it stinks like the dead, day by day. This TP is not 2-play, Lord. The soap has expired, blessed be. Good Listener, the tub butter is at a low level. These melons are not firm, rescue me. It was three for one dollar on TV, thank you Savior. Is this your subtotal, Dark Angel? The tea bags are without strings, blessed be. The cereal is banned, have mercy. The caplets are tampered with, Holy Co-pay. Mildew is on the corn. I am the responsible party. I am the man. God is my purchase on this villa. I empower Him the stew and my acreage. Jesus is Lord of the Waffles. God gives good chase in these fries. Let the record show I was open. He has the Mileage, blessed be. It’s going to be hard to write in cursive from this day on. You have lopped off the tip of your finger. Almost more than anyone could handle, seeing that blood on the ax. see that your boots don’t fit. even if it burns,” he said. Athena Kildegaard is the author of four books of poetry, most recently Ventriloquy (2016, Tinderbox Editions). She teaches at the University of Minnesota, Morris. Learn more about Athena here. Tags: "Disillusionment of Ten O'clock", Athena Kildegaard, Clinch River, Groundhog Poetry Press, Susan Hankla, Wallace Stevens. Bookmark the permalink. I first read this book, being given it as a gift from a friend, I could not put it down and have read it again several times since. I agree that there is a novel like quality to the book with reoccurring characters and settings but the structure also speaks to a symphony construct as well where themes are repeated in movements throughout the work. One gets to know and emotionally connect with a segment of America that may be dying but that have influenced a generation steeped in values not well understood by those who have not lived them. I just have to thank Susan for sharing her life within this book and allowing us to visit a world that many of us have never experienced. In fact, Athena Kildegaard’s Q&A gave me some new insights into Susan’s psyche and I think I will have to read the book again. When I first saw the cover I joked that the poems must be from the spirit world but then I saw that ghosts do haunt these pages, dressed not in white night-gowns but in a red sweater or an army coat. She is a faithful and respectful (if often humorous) chronicler of Appalachian culture, which one can tell she knows intimately. One detail that some will miss (this being a “foreign” culture to many readers like myself) is the presence of a certain amount of magical realism in Hankla’s writing. Literal truth is not the issue here, so much as the heart-felt truth of the recurring voices in her work. Economy of imagery and distinctiveness of style have earned Susan Hankla an enthusiastic regional following with the publications of Clinch River. I hope that this interview in Bloom can bring Susan to a wider audience. Thank you for being such a close reader of “Clinch River”. You see every red thread in the sweater.